Easter has given me an excuse to enjoy some "illumination" which I'm delighted to share with you. 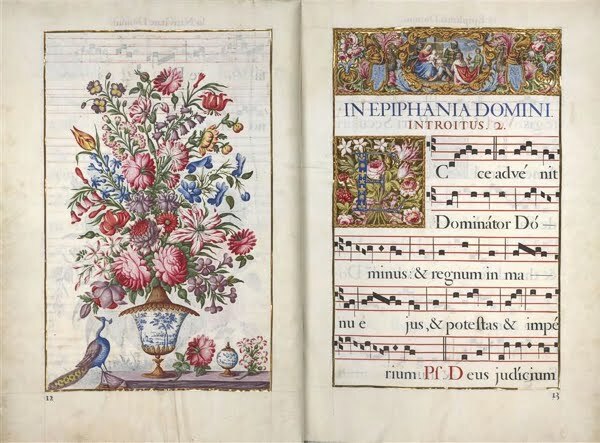 These pages are from a 17th century Antiphonary created by the "ateliers de l'htel des Invalides", Paris. 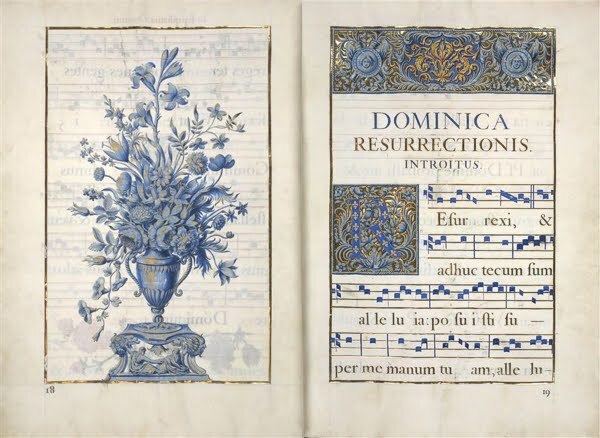 Think of soothing Gregorian chants while you look at them; relax &immerse yourself inthe marvelous details. See my original post at Tatiana's Tea Room: enChanted Easter Notes.